Things seemed to be going so well for Muneakira Yagyu, the hapless warrior inexplicably stuck with the ability to awaken a girl's latent samurai powers with a single kiss. Just having to deal with the impossible Jubei - who fell out of the sky and into his arms - would be more than most men could handle, let alone being the target for a half dozen more. On top of that, he had just defeated a minion of a great evil, so was it too much to ask for a little break? Apparently, it was! The great evil is back, but that's the least of the problems complicating Muneakira's life. After all the girls he kissed, the inevitable has finally happened… someone is getting hitched with a samurai girl! It's going to be a REALLY old fashioned wedding and any resistance by the groom will be totally ‘feudal’ in SAMURAI BRIDE! 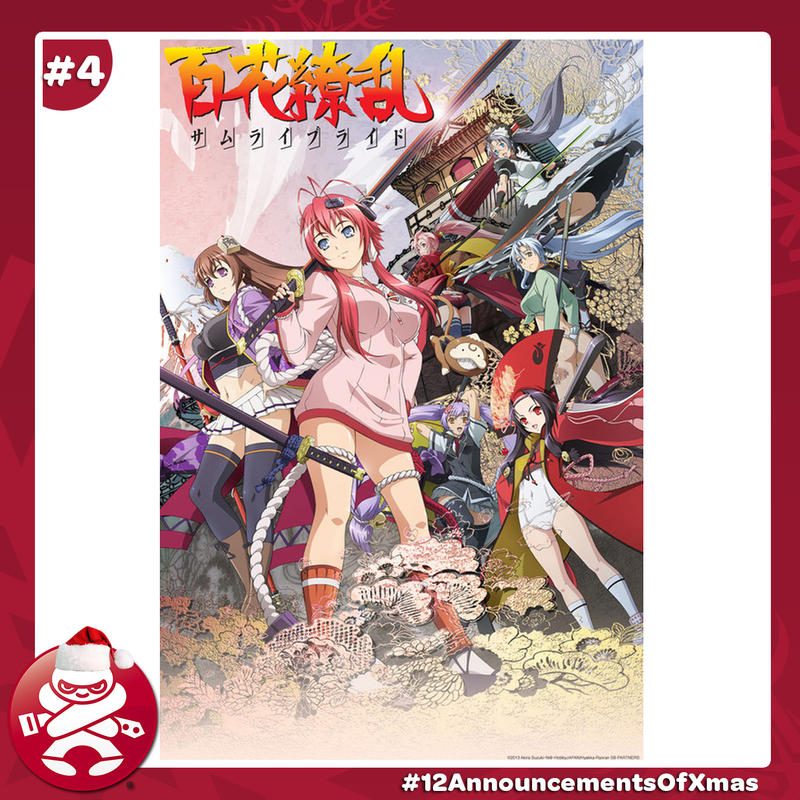 This 12 episode follow up to the smash series SAMURAI GIRLS will be available on home formats in 2014.